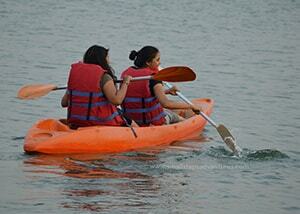 Who can join Pawna Lake Camping? 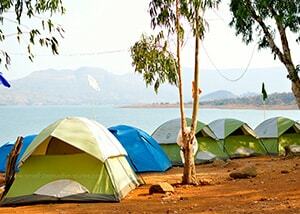 Anyone - Those who love to enjoy Lakeside Camping, bonfire beside lake with lovely food and Barbeque setup without any trek. 05:00 pm: Welcome Tea & Snacks. 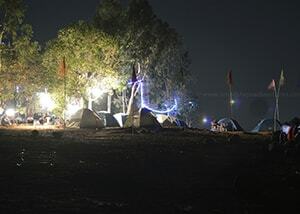 07:00 am: Hangover call (Clean & Comfortable Bio-break facility at Campsite). 07:30 am: Awesome Sunrise View. 08:30 am: Tea, Coffee & Breakfast. 09:30 am: Check-Out with load of memories and pictures. 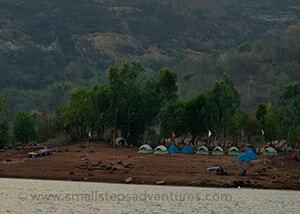 Evening Tea & Snacks, Dinner (Veg/Non-Veg), Limited BBQ, Breakfast & Tea, Campfire, Music, Pawna Lake Camping Tents.